Though built back in 1964, this stadium never received the recognition it deserves for the unique layout, hardly comparable with any other worldwide. Built on a circular blueprint, it doesn’t have the pitch located centrally, but to the east. Meanwhile the massive western terrace spreads over the slope of local hills, accommodating almost 30,000 people. The eastern side consists of a very modest stand with seats and cover. 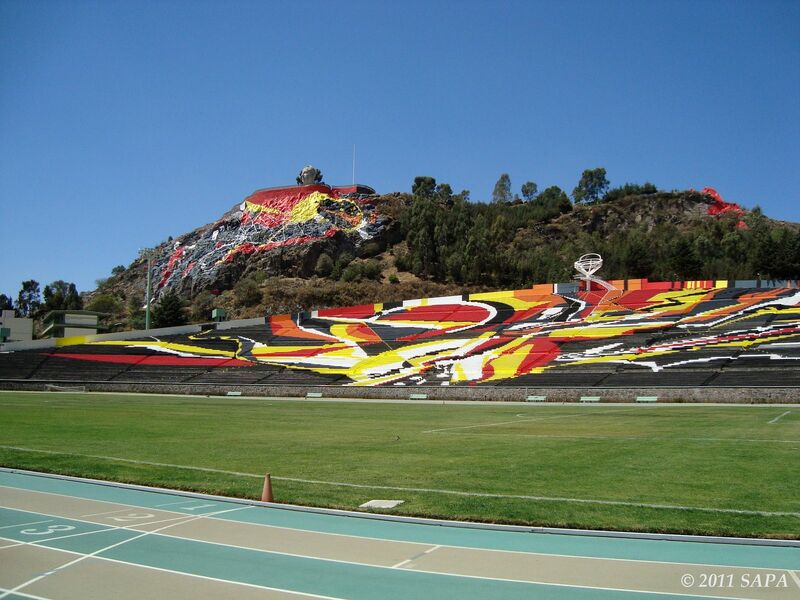 Almost all of the western terrace is covered with a huge paintwork, referred to as the ‘arte atmosférico’. 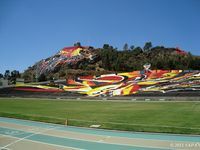 This immense painting by Leopoldo Flores covers some 20,000 sqm (or almost three football pitches) and uses traditional Mexican motives and colours. 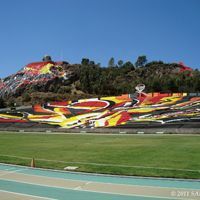 The land art spreads outside the stadium, onto the top of the hill, where president Adolfo López Mateos’s monument is located. 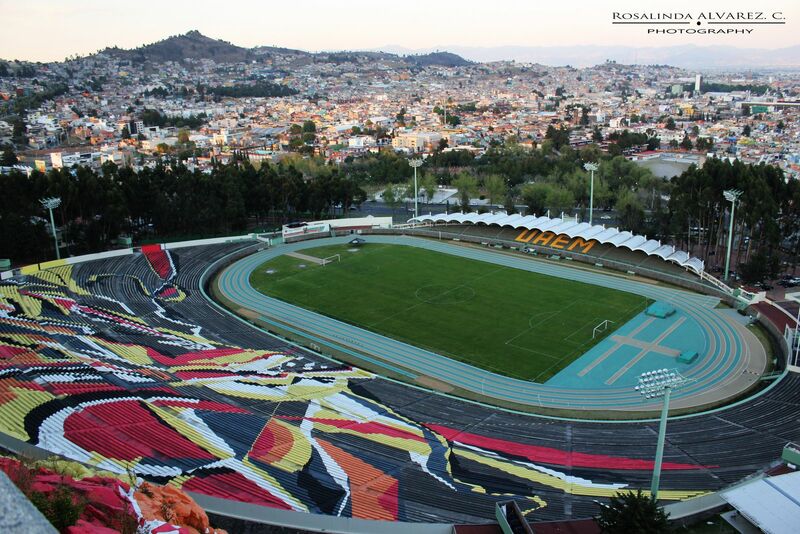 Day-to-day use is provided by UAEM university athletes and local football club Potros. In 2011 the stadium hosted domestic universiade and received a facelift for that occasion. 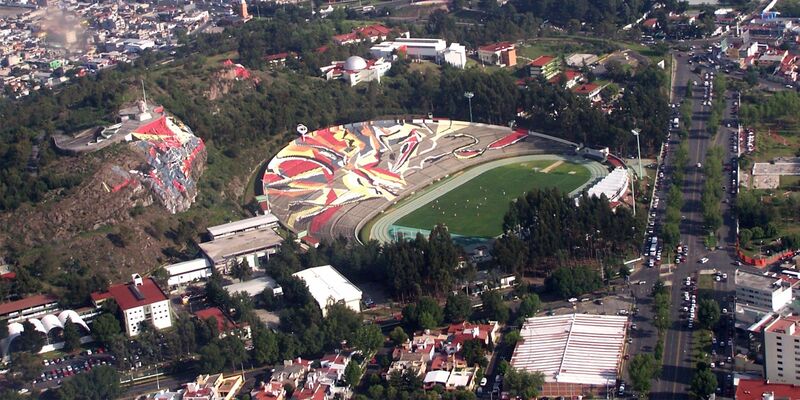 It’s owned by UAEM and lays just 800 meters west of Estadio Nemesio Dies.